Dylan Pereira avoided drama on the track to take his second win in Season 9 of the Porsche GT3 Cup Challenge Middle East. Qualifying in a rapid 2:02:690, the Luxembourg driver pulled clear of the tensions and battles behind him to take a comfortable win. Opening the penultimate round of the season at Bahrain International Circuit, Pereira took charge of a high octane and high emotion race. 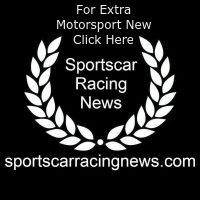 He showed no sign of giving away his position to championship title hopefuls Al Faisal Al Zubair of Oman who started from second and Tom Oliphant from Britain in third. 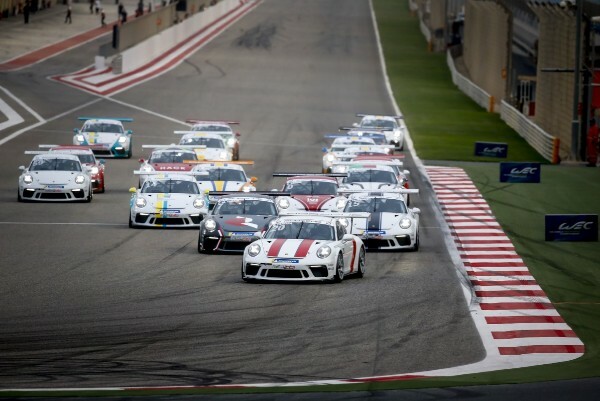 With a strong start, Pereira watched the battle for the championship in his rear-view mirror, with Oliphant and Al Zubair making contact in lap three and forcing Oliphant to retire. Al Zubair made ground on Pereira under the safety car, but Pereira’s pace was too much for the Omani teenager. The intensity of the race didn’t stop there, as drivers fought for vital championship points in the middle. Teenager Khalid Al Wahaibi of Oman saw himself enter turn one on the restart with Magnus Öhman of Sweden and Isa S Al Khalifa of Bahrain either side of him. Only Öhman came out of the turn, with Wahaibi and Isa S Al Khalifa forced to pull over. South African Saul Hack also paid the price of their collision as he was caught in the aftermath, forcing him to also post a DNF. The first of two races taking place on Bahrain International Circuit’s F1 track configuration this weekend, the intense race adds another twist in the championship title story and leaves Oliphant with more work to do in Race 2 tomorrow to secure the silverware. With Oliphant’s DNF, Al Zubair came under pressure from Glynn Geddie of Scotland who moved up into third. The newcomer took on the role of applying the pressure to the Omani title hopeful, but Al Faisal kept his focus and finished where he started in second place and Geddie in third. Commenting on the dramatic race and his second win of Season 9, Dylan Pereira said: “I had a good start, which is something that I wanted to focus on in this race. I began to pull away, but could see Oliphant and Al Zubair were fighting behind me. I decided to forget about that and concentrate on my laps and getting as far ahead as possible. Al Zubair of Oman is still in the race to take the overall championship title, adding 23 points to his total and closing the gap on Oliphant who walked away without adding to his. The Omani set impressive lap times in practice and qualifying, and will hope to finish strong in Race 2 to shut out Oliphant in their joint pursuit of the title. Speaking after the podium, Al Zubair added: “At the start I had to focus on defending my position against Oliphant going into the first turn. He was closing the gap right behind me and on the final turn he went to the inside. I gave him room, but there was contact and he left the track. I continued as my damage wasn’t that bad. Just shy of the podium places, Charlie Frijns from The Netherlands finished in fourth ahead of Frenchmen Jean Baptiste Simmenauer in fourth and Porsche China Junior Daniel Lu in sixth, who joined the grid as a guest driver. Race 1 of Round 5 at Bahrain International Circuit saw 18 drivers race 12 laps of the Formula 1 track configuration. The drivers, hailing from 14 different countries, will be back in action tomorrow for Race 2 and another test of mental and physical strength. The series comes to a thrilling conclusion in Round 6 as an official support race for the 2018 Formula 1 Gulf Air Bahrain Grand Prix, 7-8 April 2018.